Part of the mission of both the Upper Saranac Foundation (USF) and the Upper Saranac Lake Association (USLA) is to preserve and protect the water quality of the Saranac Lake watershed. To uphold this mission, we are launching a joint effort to better educate shoreline property owners in the USL watershed about the importance of the proper operation of their septic and wastewater treatment systems. Most Upper Saranac Lake waterfront properties utilize a septic system. 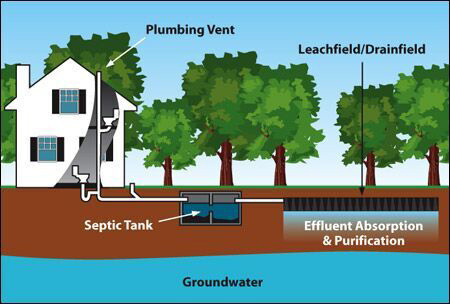 As owners of a private septic system you have the responsibility to protect your family’s health, as well as to protect the quality of the water in our lakes from contamination. A properly designed, constructed, and maintained system can provide long term effective treatment of wastewater and help protect our lake and your property investment. We know that systems can unknowingly leak untreated sewage into our lake with its pathogenic (disease-causing) organisms and fertilizing nutrients. Our water quality can be challenged with old and non-functioning sewage systems, seasonal cottages becoming year round, legacy properties not being upgraded, small lots, poor soils, shallow and inadequate depth to groundwater or bedrock, and septic tanks not being pumped or homeowners not even knowing where the tank is located. Make sure your septic system isn’t contributing to the problem. 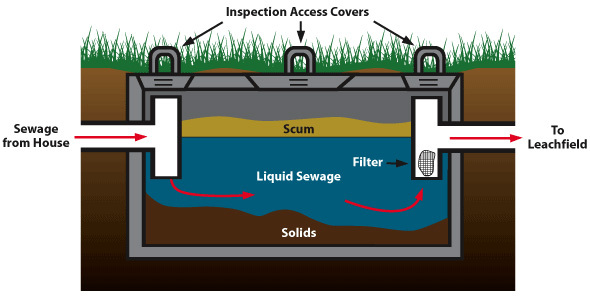 Malfunctioning septic systems can be extremely harmful. Pollutants found in household wastewater systems include nitrogen, phosphorus, and disease-causing bacteria and viruses. If these pollutants seep underground into the lake, aquatic plant growth and algae blooms are likely consequences. Effluent can also result in direct contamination of well or drinking water and could cause serious human health risks. Locate your tank, inspect your system, and pump your tank regularly: Similar to owning a car, there is maintenance, inspection and services required to prevent premature failure. Routine inspections may catch a minor problem before it becomes a big one and it’s too late. It is recommended that inspections are done every 3 years and tanks pumped every 3-5 years depending on how much your system is used and its size. Thus a professional inspector can help determine how often your tank should be pumped. Routine pumping can prevent solids from entering the drain field and clogging the system. Inspection and pumping costs are minor compared to the cost of an emergency replacement. Proper care of your drain field: It is important to divert surface water away from the drain field to avoid soil saturation. You should also avoid driving or parking on the drain field to prevent compaction of the soil. Plant only grass or groundcover with shallow roots over or near your drain field and remove nearby large trees. Deep roots can obstruct and damage drain lines. Avoid disposing of household hazardous waste down your drain or toilet: Avoid disposing of items such as cooking grease, oils, coffee grounds, feminine hygiene products, paper towels and diapers. These can clog the drain field. Disposing of paints, chemicals, cleaners, gasoline, oil and other toxic materials can kill the good bacteria in your system. Avoid use of garbage disposals: compost vegetable scraps. Conserve water: Using less water means less water going through your septic system, reducing the volume of water the system must filter and absorb. This helps the system to operate properly and reduces stress on your system and the risk of a failure. Use low-flow toilets, faucets and shower heads and repair any leaking faucets or running toilets. Space out your water use by leaving time intervals between showers, loads of laundry and washing dishes. Use the septic system maintenance chart provided in this booklet. 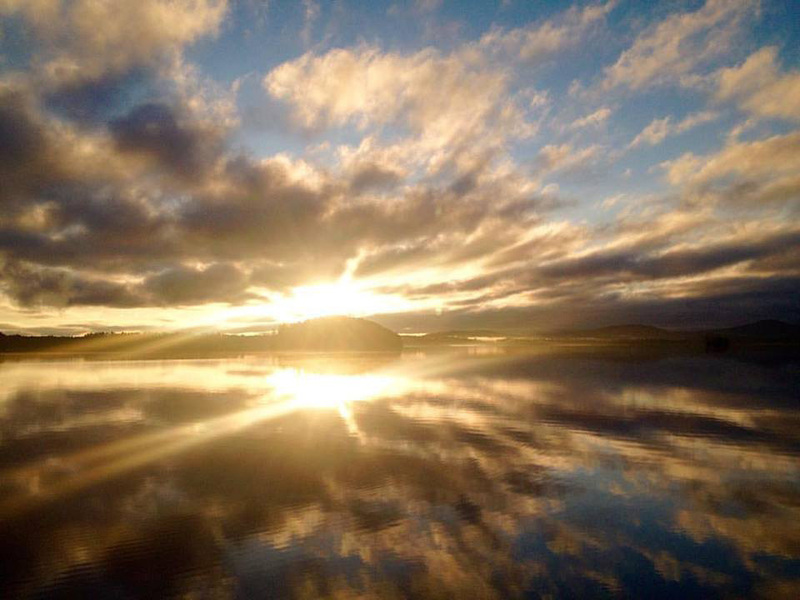 Did you know that many of our shore owners draw household water directly from the Lake? Not all shorefront properties are suitable for traditional septic systems. Inadequate soils for groundwater dispersal, high bedrock or groundwater, too close to the water, or small lot sizes may require alternative systems. Alternative systems use new technologies to improve treatment process, needing less space to function. 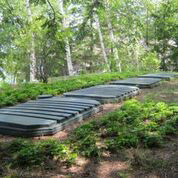 Such systems use sand, peat or plastic materials instead of soil to treat the wastewater. Some Upper Saranac Lake residences are already using these alternative systems. The Lake George Association and Cornell Cooperative Extension.